My husband and I had dinner with some good friends the other night. They know about my obsession with all things Genealogy so the talk quickly turned to their search for ancestors. During the conversation, I whispered to my friend “I love visiting cemeteries, especially old ones”. I wasn’t sure how she would respond as most people think it is creepy to do this. Her face lit up and said, “Me too!”. The next hour was devoted to “Cemetery” talk. Ancestor Hunters have no problem discussing this topic so in honor of that, here are 10 interesting facts about cemeteries. ♦ What is the difference between a cemetery & a graveyard? Graveyards are in the “yards” of churches and is always adjacent to and part of a church. ♦ Arlington is the only national cemetery to hold servicemen from every war in U.S. history. Although the first military burial at Arlington National Cemetery didn’t occur until 1864, the burial ground holds the remains of those who fought in every war since the Revolution. In 1892, soldiers killed in the Revolutionary War were re-interred from a Georgetown cemetery, and casualties from the War of 1812 have been reburied at Arlington as well. ♦ In 1876 a handful of mobsters botched a morbid plan to kidnap the body of Abraham Lincoln and hold it ransom. The hapless grave robbers were arrested just a few days later. Fearing another attempt, the government secretly hid the body of the sixteenth president in an unmarked grave for 25 years. Then in 1901, under the urging of Robert Lincoln, the president’s only surviving child, Lincoln’s body was dug up and placed inside a steel cage, lowered into a 10-foot-deep vault, and buried under tons of concrete. He’s still there today, in his tomb, on the grounds of Oak Ridge Cemetery. ♦ Cemetery tours are now big business. One such cemetery, the Hollywood Forever Cemetery in Hollywood California has maps to the Star’s graves available for tourists. This is also an old cemetery – established in 1899, and filled with tall, old-fashioned headstones and towering monuments, including a few unusual ones shaped like obelisks and a rocket ship. Many tour companies in Los Angeles offer tours of the many “celebrity” graveyards in the area. ♦ Family (or private) cemeteries were a matter of practicality during the settlement of America. If a town or religious cemetery had not been established, settlers would seek out a small plot of land, usually in wooded areas bordering their fields, to begin a family plot. Sometimes, several families would arrange to bury their dead together. While some of these sites later grew into true cemeteries, many were forgotten after a family moved away or died out. Therefore, some of our ancestors’ graves from the 1600’s may never be found. ♦ Visitors to loved ones interred in Jewish cemeteries often leave a small stone on the top of the headstone. There are prayers said at the grave site, and the stone is left on the visitor’s departure. It is done as a show of respect; as a rule, flowers are not placed at Jewish graves. Flowers are fleeting; the symbol inherent in the use of a stone is to show that the love, honor, memories, and soul of the loved one are eternal. ♦ Columbarian walls are a common feature of many cemeteries, reflecting the increasing use of cremation rather than burial. While cremated remains can be kept at home by families in urns or scattered in some significant or attractive place, neither of these approaches allows for a long-lasting commemorative plaque to honor the dead nor provide a place for the wider circle of friends and family to come to mourn or visit. Many cemeteries now provide walls (typically of brick or rendered brick construction) with a rectangular array of niches, with each niche being big enough to accommodate a person’s cremated remains. Columbarium walls are a very space-efficient use of land in a cemetery compared with burials and a niche in a columbarium wall is a much cheaper alternative to a burial plot. A small plaque) can be affixed across the front of each niche and is generally included as part of the price of a niche. In our search for our Ancestors we always experience that excited anticipation of possibly discovering that one famous person in our lineage. Finding someone who accomplished some great feat or invented something used by millions or who became President or who was an outlaw can bring color and excitement to our trees. When you gather together with other Genealogists you would now have something interesting to tell. Talking with family about these persons may peak their interest in their own history and of those who came before them. I just wonder, How do we define “Famous”? Webster’s dictionary defines it this way “known or recognized by very many people: having fame”. 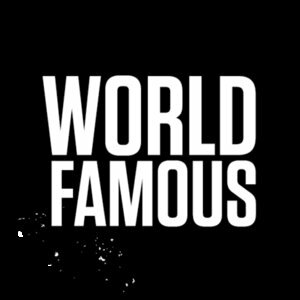 In today’s society the term fame or being famous is applied to anyone who can get themselves in front of a TV camera, or across the internet regardless of the reason. Most are just famous for being famous, really not earning the “title” by doing anything worthwhile. So I just wonder by what standard we measure those we deem famous in our own families. 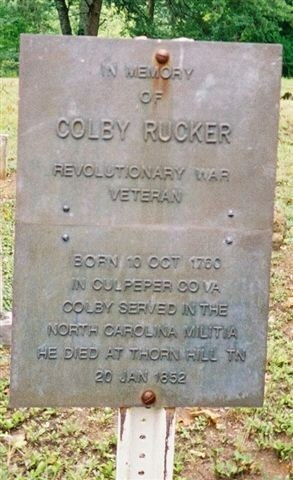 To me, my 4th Great Grandfather Colby Rucker who fought in the Revolutionary war should be called famous. He volunteered to fight at the age of 17, defying his father in doing so and even after he was captured and imprisoned by the British, upon his escape he returned to fight till the end of the war. 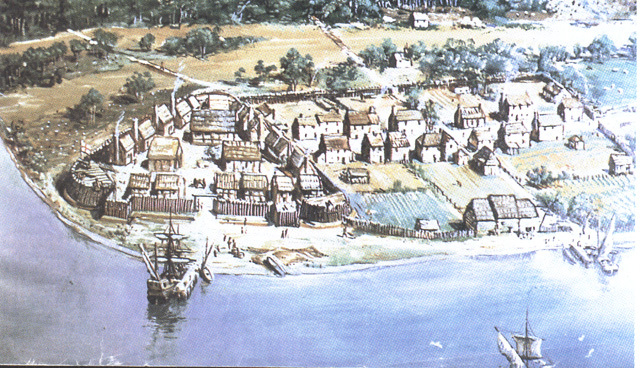 I consider my 9th Great Grandfather William Powell famous because he came to America, Jamestown Virginia to be exact, in 1609. He survived the massacre of 1622 but was killed in 1623. Regardless of how some may feel about what happened once immigrants came and forcibly took over this country, he was still brave to come to this strange land, far from all he knew. I believe my 4th Great Grandmother, Permelia Loving Allen was famous. At the age of 66 she became a widow, after 47 years of marriage. 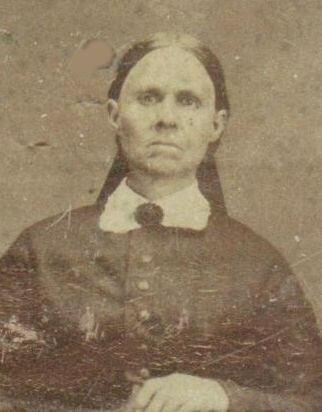 4 years later after her husband’s estate was settled at the age of 70 she personally lead a group of settlers from Cole County Missouri to Tarrant County Texas. Included in this group were 8 of her 10 children and their families. She was one of the first women to own land in this county and she donated land for the Mount Gilead Baptist Church to be built. This remarkable woman witnessed the Revolutionary War, the War of 1812 and the Civil War and she died in her 92nd year. These ordinary people who did extraordinary things are more “famous” in my eyes than some of the other “famous” people in my trees. These are the stories I want to tell, the ones I am most proud of. Maybe we should rethink our definition of “Famous”. My new definition would be: “Those ordinary individuals, who through their own convictions succeeded to accomplish remarkable things that very few others are aware of”.